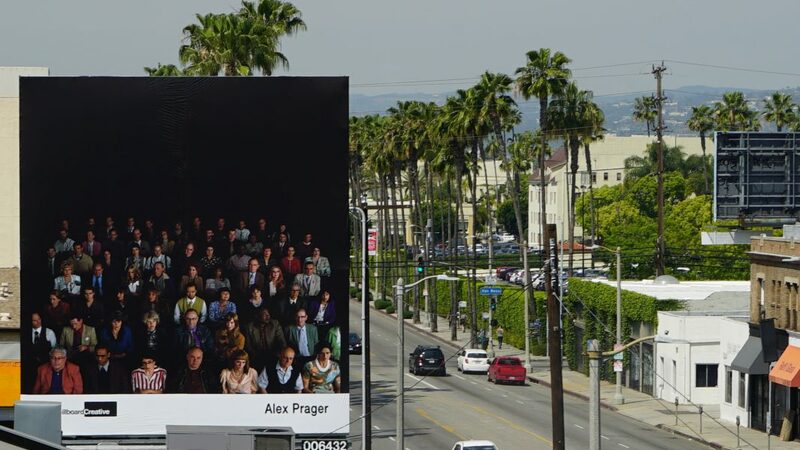 TheBillboardCreative wants you to stop and actually look at those ubiquitous billboards you typically ignore while walking down the street. For the month of October, the group is replacing the usual advertisements for auto insurance and personal injury lawyers with fine art in unexpected locations. Across the city, 31 billboards will be splashed with images created by contemporary artists. 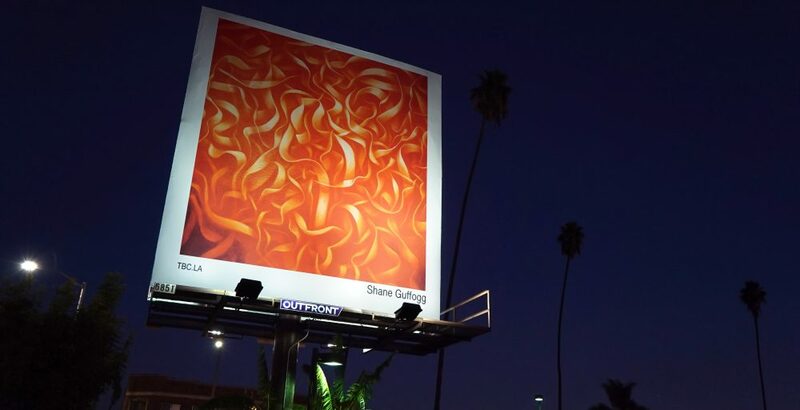 The pieces include a handful from bigger names that Billboard Creative reached out to for the project, including Lawrence Weiner, Laurie Simmons, and Norm Clasen–but the majority of the works come from artists selected through a blind submission process that was open to all. An interactive map available on Billboard Creative’s website guides curious viewers to the pieces and provides some background on the artists involved. In October, the group plans to debut an extensive geo-tagged public art map of Los Angeles, which will start with an initial registry of some 900 sites of public and street art across the county and can be updated dynamically over time. This marks the fifth outing of this project which has, over the years, included work from Ed Ruscha, Paul McCarthy, Alex Prager, and other significant contemporary artists. In addition to the main annual show, TheBillboardCreative also recently produced a “micro-initiative” of just three billboards, focused specifically on highlighting the work of female artists.